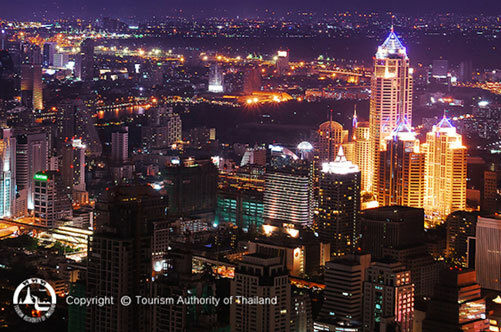 The latest Global Destination Sustainability (GDS) Index has shown Bangkok came in second on the list of Asian destinations ranked. The rating, which measured by social and environmental sustainability strategies, industry supplier support, and Convention Bureau strategy and initiatives, also accentuated TCEB’s performance as a top scorer when compared to Convention Bureaus in other Asian destinations participated in the ranking. International Congress and Convention Association (ICCA) recently gave out GDS-Index Awards to top five destinations recognised for their sustainable practices in the business tourism and events industry. List of cities with the five highest overall scores are Gothenburg (Sweden); Copenhagen (Denmark), Reykjavík (Iceland), Oslo (Norway), and Uppsala (Sweden) respectively. Mr. Chiruit Isarangkun Na Ayuthaya, President of Thailand Convention and Exhibition Bureau (Public Organization) or TCEB , said that Bangkok and TCEB participated in the GDS-Index for the first time and the bureau is delighted with the result. The ranking showcases the country’s commitment to the international standard and the focus on environmental sustainability for meetings and events industry.